My article on the 2018 Venice Biennale of Architecture appeared in Condè Nast Traveler, May 2018. Our guide to the very best of the seven-month architecture festival taking over Venice this year. The Biennale Architettura 2018, or Venice Architecture Biennale, is an architect’s dream—but it’s also a design adventure for visitors, a temporary theme park for interactive and experimental works. Running through November 25, the event turns the entire Venetian archipelago into a playground of events, plus permanent and semi-permanent pavilions and projects that transform historic palazziand parks into design destinations. Here’s our guide to making sense of it all. The event centers around the Giardini, or the Biennale Gardens, a park where you’ll find the original national pavilions, a potluck of architecture from the early 1910s to today that includes projects from Australia, Great Britain, Japan, Russia, and the United States. The Central Pavilion, also at the Gardens, is the main stage for this edition of the Biennale, which is based around the theme of Free Space. 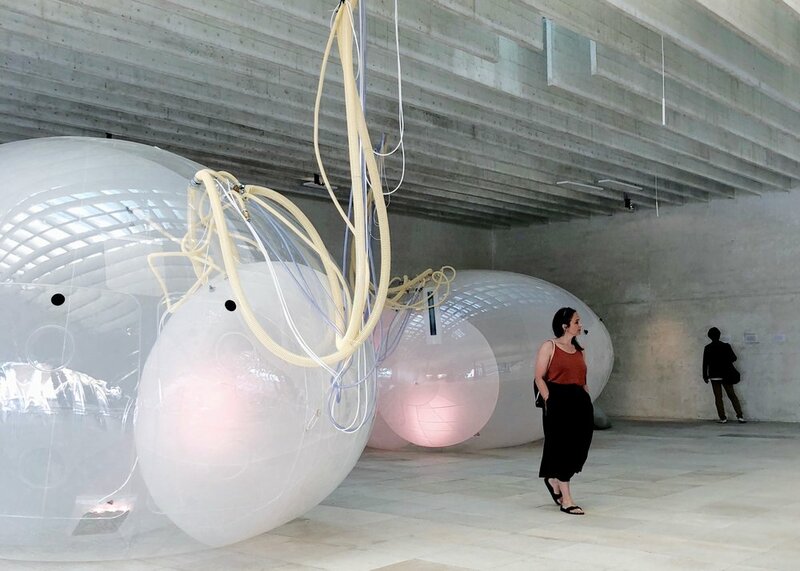 Biennale curators Shelley McNamara and Yvonne Farrell of Dublin’s Grafton Architects chose the theme, but what exactly does it mean? “It’s the paradigm of architecture,” says McNamara of the concept. "It's a question about the absence and presence of architecture." The Biennale Gardens. Photo by Erica Firpo. Another Generosity, at the Nordic Pavilion (which reps Finland, Norway, and Sweden), you’ll find large membrane-like balloons, filled with water and air, that deflate and inflate as viewers walk through the space, a meditation on the relationship between nature and the built environment. Dimension of Citizenship, at the U.S. Pavilion, consists of installations, films, and talks that explore "spatial understandings of citizenship," organizers say, at a time when "questions of belonging, of who should be included and how, are posed with every athlete taking a knee, every #metoo, every presidential tweet, and every protest sign or fist raised." Robabecciah: The Informal City, at the Egypt Pavilion, is a almost sculptural installation of “old junk,” or robabecciah, showcasing Egypt’s historic “spontaneous” markets. UNES-CO, at the Czech/Slovak Pavilion, a futuristic welcome center where the backdrop is a screen showing a live feed of the Czech city of Český Krumlov, which has seen the population in its historic center drop dramatically in part because of an influx of tourists in recent years. The feed shows 15 couples and families who are being paid to live in the city full time. Isola/Island, at the U.K. Pavilion, focuses on themes of isolation—both environmental and deliberately man-made—as well as questions of identity, both top of mind in post-Brexit Europe. Meanwhile, the Arsenale, Venice’s former shipyard, hosts the Corderie, a nearly 400-meter corridor that expands the Free Space exhibition; the neighboring warehouses host newer pavilions, including those of China, Italy, and Kosovo. Woodland Chapels, the Vatican’s first ever entry in the Architecture Biennale, is both pilgrimage and installation. To visit, take a Line 2 vaporetto to the beautiful island of San Giorgio, where you’ll find 10 chapels designed by a dozen architects including Andrew Berman, Sir Norman Foster, Carla Juaçaba, and Eduardo Souto de Moura. 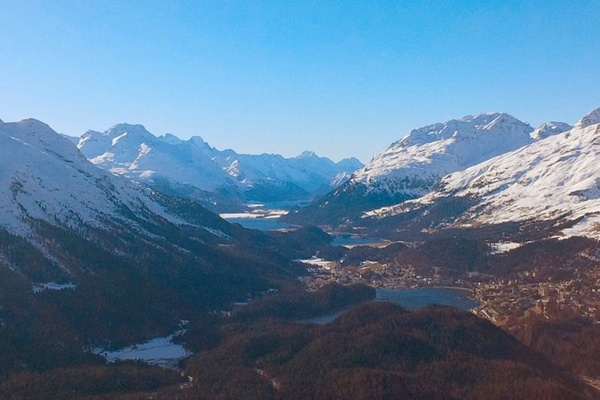 Environmental Justice as a Civil Right, at the Antigua & Barbuda Pavilion, the nation’s first entry to the Biennale, is set in the 15th-century Don Orione Artigianelli monastery on Dorsoduro. The pavilion explores sustainability, including the use of local materials and the importance of public parks—and the redevelopment of Barbuda, after the massive destruction caused by Hurricane Irma in 2017. 1948: The Biennale of Peggy Guggenheim, at the Peggy Guggenheim Collection, recalls the the 1948 Biennale. 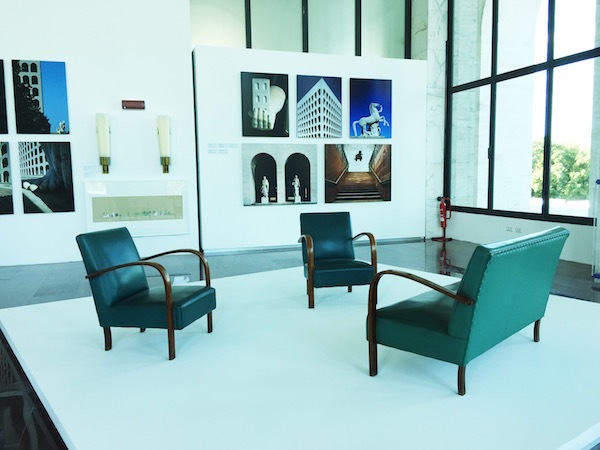 Greece pulled out, and Peggy stepped in with a Carlo Scarpa–designed exhibit of 136 works; this year, the Peggy Guggenheim Collection celebrates its 70th anniversary by partially recreating the exhibition and bringing together works—from the likes of Friedrich Vordemberge-Gildewart and Jackson Pollock—which have not been seen in Venice in decades. John Ruskin: The Stones of Venice, at the Doge’s Apartment in the Doge’s Palace, brings to life Ruskin’s three-volume tome on Venetian art and architecture through paintings, including Ruskin’s own watercolors. Machines à Penser, at Fondazione Prada, in the ornate Ca’ Corner alla Regina, explores the ideas of exile and escape, with contemporary pieces inspired by (or reacting to) the work of the philosophers Adorno, Heidegger, and Wittgenstein. Book ahead for lunch, since the Biennale crowds often fill Corte Sconta, a tiny Venetian trattoria with private garden, and Local, a former electrical shop gutted and transformed into a minimalist locavore restaurant. 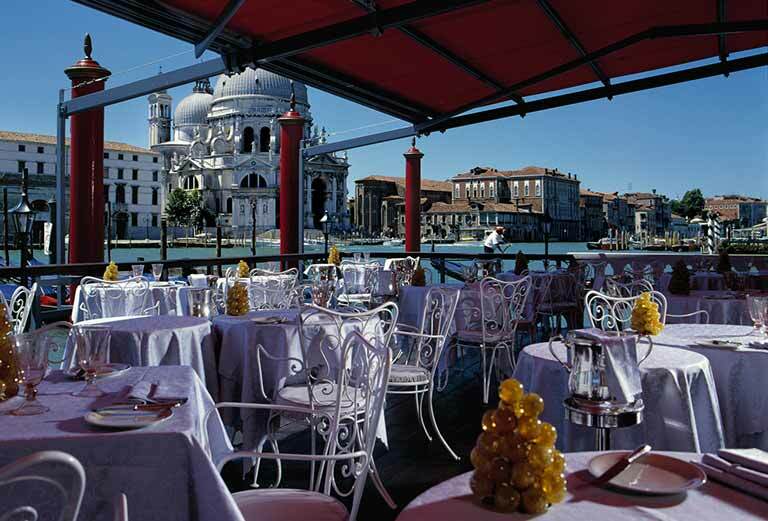 AMO, the atrium restaurant at T Fondaco dei Tedeschi, is another Starck-designed choice near the Rialto Bridge. The best plan is to split your visit over two days. Start at the Giardini, visiting the central pavilion before branching off to the other country-specific entries; focus your second day on the remaining pavilions and the Arsenale. If you’ve got more time, spend it on off-site pavilions like the Vatican’s or seeing the contemporaneous shows around town. The Biennale runs through November 25, and locations are open from 10 a.m. to 6 p.m. Tickets are €25 ($29) and grant a single admission to each of exhibition venues. You can buy tickets ahead of time online. The Aman Venice, set in two restored centuries-old palazzi, feels like its own architectural show. The Palazzo Venart Luxury Hotel is a sleeper favorite of Condé Nast Traveler editors that was on the Hot List in 2017. On the island of Giudecca, and a short (free) ferry ride from St. Mark’s Square, the Belmond Hotel Cipriani is perfect if you prefer quiet—and it has what’s got to be the biggest swimming pool in Venice. For a virtual tour of the 2018 Venice Biennale of Architecture, please take a look at my Instagram story that follows my adventures at the Biennale. Five Hidden Streets to Walk in Rome originally appeared on October 14, 2015 in Travel + Leisure. Out-of-the-way gems can still be found in the well-trod city. For millennia, Rome's streets and piazzas have been walked and then some—the focal point of the ancient empire's transit network, there's a reason we have the saying, "all roads lead to Rome." As the third most visited city in the EU (after Paris and London), it can seem there are few areas left to be discovered, but if you're willing to look up from the map and stretch your comfort zone, a lesser-known, far more modern version of the city appears. From former Olympic athlete housing to a neighborhood devoted to street art, these are five blocks you won't want to miss. Piccola Londra A few tram stops north of Piazza del Popolo, at the corner of Via del Vignola and Via Flaminia, is the street Via Celentano—though its neighbors never call it that. Instead, it's known as Piccola Londra (Little London), a turn-of-the-century, private road that gives off a Notting Hill-meets-Mary-Poppins vibe. Stop by this stretch to see the colorful, immaculate homes and to marvel at how this haven ever came about. Quartiere Coppedè In the city's northeast Trieste neighborhood, there is an early-1900s enclave called the Quartiere Coppedè of whimsical architecture by Florentine architect Gino Coppedè. Marble and metal ornaments like spiders, sea horses, and lizards decorate rustic Craftsman-style houses and buildings, which are painted with modern frescoes and beautiful patterns. It looks like a page from a fairy tale. EUR The EUR neighborhood, a fifteen-minute drive southwest of the city center, may be well-known but it hardly gets the foot and photo traffic it deserves. Originally designed for the 1942 World Exposition by architect Marcello Piacentini in the late 1930s and finished in the early 1950s, its is a snapshot of a would-have-been Rome, with monumental travertine buildings, palaces, and piazzas of Rationalist architecture. Be on the lookout for the Square Colosseum, a stark white minimalist nod to its 2,000-year-old counterpart. Villaggio Olimpico Built as prototype athlete housing for the 1960 Olympics in Rome, the Villaggio Olimpico (Olympic Village) is one of Rome's planned modern neighborhoods, with duplex stilt building, sweeping piazzas, cinemas, pharmacies, and shops—albeit for temporary use. Now fully residential and permanent, its bare modernist architecture fits right in with the surrounding area, a newly developing cultural and architectural mecca that includes PierLuigi Nervi's Pantheon-like Palazzo dello Sport, Renzo Piano's 21st century, futuristic Auditorium and Zaha Hadid's MAXXI museum. Quadraro Probably one of the best places to get lost, if you can find it. The outer limits Quadraro neighborhood (in Rome's southeast periphery), is a micro-state all about street art. Artists including Gary Baseman, Alice Pasquini, Jim Avignon and Diavu have covered its exterior walls to create an open-air museum, and more continue to add to it. Murano is a mystery, a jewel in the archipelago of Venetian islands. For centuries, this tiny island has produced the world’s most beautiful glass pieces – goblets that grace the lips of popes and monarchs, chandeliers that light up palaces, and decorative objects that add a glimmer to the everyday. Through rigid regulations and even threats of death, Murano has guarded its glassmaking industry for centuries, surrounding the island in lore just as nebulous as the mists off the Venetian Lagoon. Only 15-minutes north of Venice, by water bus (vaporetto) and/or water taxi, Murano feels a world away from Venice’s crowds; a place of quiet empty streets and closed doors, privacy is Murano’s calling card. Legend claims the islands’ glass history began in the fifth century when locals fled barbarians to the Venetian lagoon, bringing glassmaking techniques from imperial Rome. 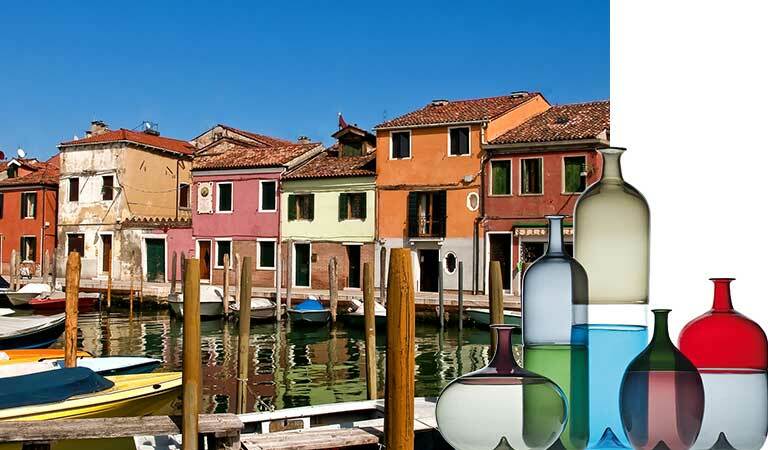 Venice officially dates its glassmaking legacy to 982AD when a certain Domenico signed witness to a deed, adding the term filario (bottlemaker) to his signature. With the cadence of ink, history was written. By the end of the 13th century, glassmakers became a powerful and exclusive guild of artisans known as arte vetraria. To protect its artisans, the Venetian government restricted all production of glass to Murano, with the guild declaring anyone caught practising glassmaking outside Murano be expelled or even killed. But almost in the blink of an eye, glass was gone, and just as quickly, Napoleon Bonaparte conquered the Republic of Venice. It wasn’t until the late 1830s that glass production resumed and, by the beginning of the 20th century, glassmaking was once again an enterprise. Firms such as Vetri Soffiati Muranesi Cappellini Venini – the predecessor to world-famous Venini & Co – and Barovier, were created by alliances between master glassmakers and Milanese businessmen. Renowned artists, designers and architects such as Carlo Scarpa and Napoleone Martinuzzi were recruited to helm creative direction, designing both original and modern reinterpretations of history’s greatest pieces, such as the wide-mouthed Libellula vase and Rezzonico chandeliers. Murano has always been a tiny and tight-lipped community, and the same applies now. 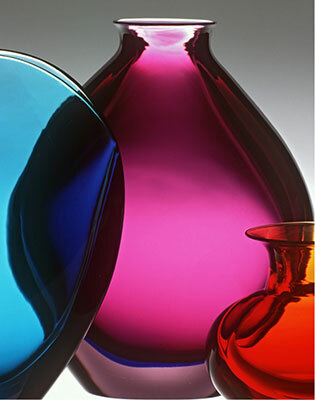 Its 1,000 glassmakers represent centuries of glass dynasties such as Barovier, Salviati, Zecchin, Toso and Seguso, and some just a few decades old, such as Galliano Ferro. But they aren’t easily approachable, despite what some of the more garrulous shop owners would have you believe. 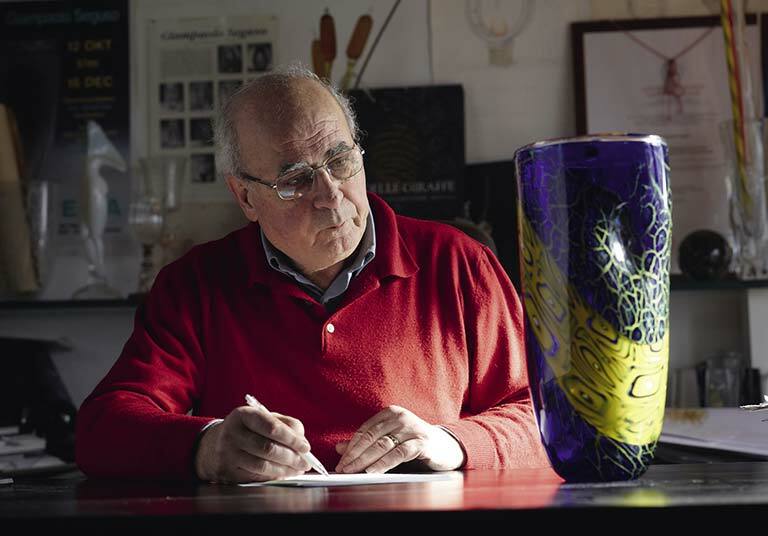 “Immediately upon your arrival, multilingual show openers greet you, ready to take you to studios,” says Franco Regina, veteran gallery owner and manager to Fabio Fornasier, one of Murano’s most avant-garde master glassblowers. His advice is to keep walking as visits to the best foundries and showrooms are usually by appointment. Glassmaking begins early in the morning, in studios or factories where furnaces operate 24 hours a day, every day of the week. In a choreographed ballet of movements – heating, blowing, reheating, pulling, stretching, cutting and detailing – master glassblowers and assistants focus on the delicate moment when silica becomes molten and magic can happen. Fornasier represents one of the smaller studios, LU Murano, where he is master glassblower. “To me, this is an artist’s atelier, where anything is possible. It is an area of mystery,” he says as he pulls on molten glass. After an hour spent talking with Fornasier and watching him make his gravity-defying chandeliers, you understand. This space is much more than a workman’s studio – it is ongoing, kinetic invention. The only sounds are the crisp cutting of hot glass that has been blown and stretched in impossible directions, but the air is filled with energy. The second-generation glass-blower chose to veer from the norm – “In Murano, many do the same thing, the Rezzonico chandelier, etc.” – instead combining traditional techniques with whimsical, experimental designs. “I believe I am an artist and thus must follow my instincts,” he says. Fornasier’s luminaries are enlightened art objects, and he produces fewer than 100 pieces annually. His handcrafted chandeliers hang in contemporary art shows with the same ease as they do in private residences, hotels and casinos. The colour of Murano glass is also incomparable. “The particularity of [our] colours comes by virtue of the environment, extraordinary colours that exist in nature around us, like the sunset, sunrise and in the reflections of the lagoon,” says Giampaolo Seguso, head of Seguso Viro, who should be considered a colour expert – for 22 generations, secret colour formulas have been passed down from father to son. His family dominates Venetian history. 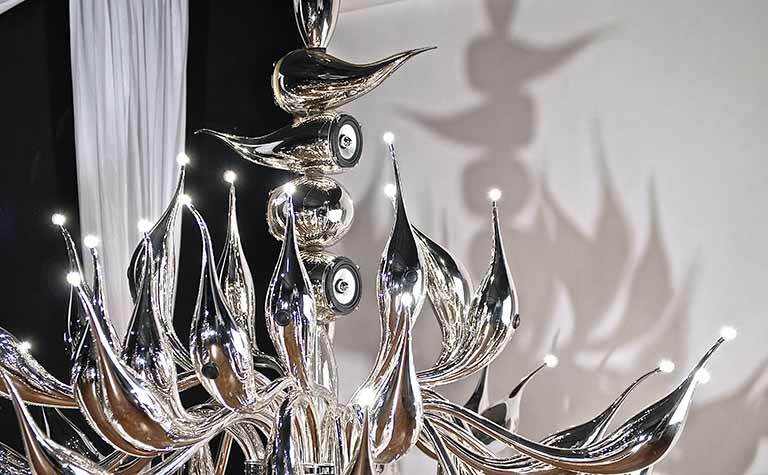 Since 1397, there has been a Seguso in a workroom, factory, gallery or museum, as master glassmakers or innovators, such as Artemide Seguso, Giampaolo’s father and impresario of inimitable colour and filigree techniques. Much like Fornasier, Giampaolo is the new embodiment of glass artisan. He is an entrepreneur, dedicating the past 25 years to upgrading the company’s vision with contemporary designs and cutting-edge, international designers. He is a poet, working with master glassblowers on art pieces that he then inscribes with his poems. And he is a historian, researching and preserving the archived, early-20th-century Seguso designs for personal records and reinterpretation in his product line. After just a single day of studying Murano’s glimmering legacy, it becomes clear that its colourful, inimitable glass is a reflection of Venice’s vibrancy. This article first appeared in Fathom, March 2015. Oh, hey, come on in. All photos courtesy of Palazzo Parigi Hotel & Gran Spa. All eyes are on Milan as it the city gears up for Milan Expo, which opens in May and runs through October 2015. Fathom contributing editor Erica Firpo checks out the excitement at the new Palazzo Parigi Hotel and Grand Spa. From the outside, Palazzo Parigi Hotel & Gran Spa looks like any of Milan's modern office buildings — glassy windows, metal frame, business-y. Just take a deep breath and walk inside. If the magnificent Murano glass chandelier doesn't blow your mind, then the "I wanna wear a ballgown and traipse down this luscious marble staircase" will. 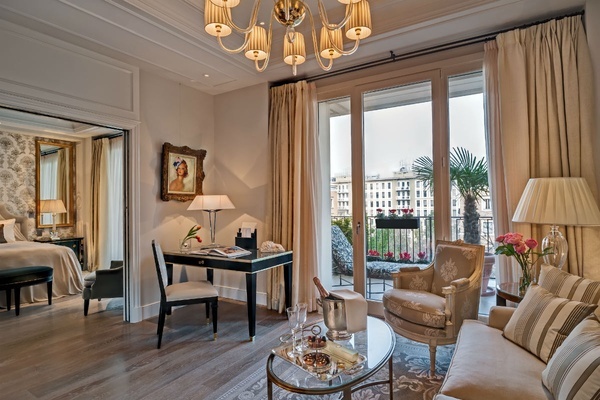 Palazzo Parigi is neoclassical luxe with a French twist throughout its ten floors. Its vibe is cosmpolitan and stylish, shown off by its staff, a well-heeled team of polygots straight from the runway. Location is key: Turn the corner, and you're in the Fashion Quadrangle, the very epicenter of Milan's finest. Palazzo Parigi is what's new. This is the very first of Milan's next generation hotels — a large-scale boutique hotel. It's in the thick of things, just around the corner from Via Solferino, my favorite street in the city, and an easy to walk to Piazza del Duomo. 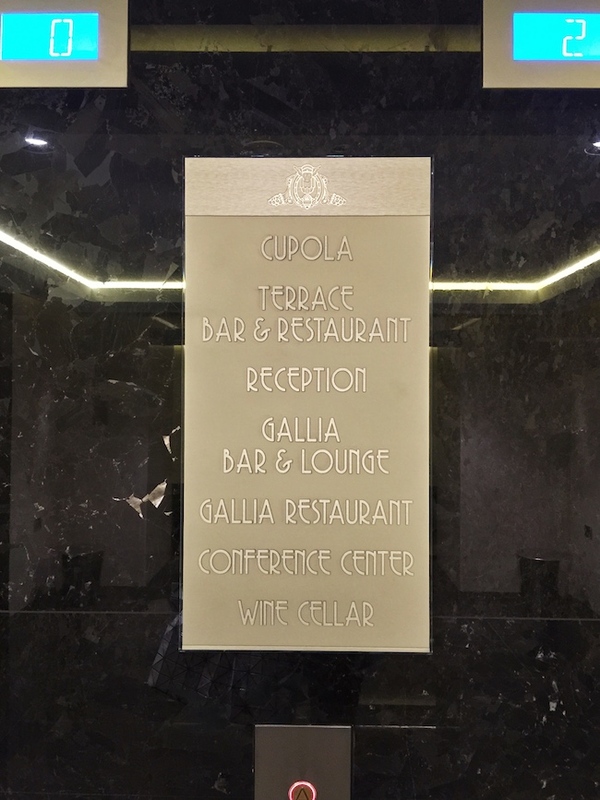 All 98 rooms and suites are styled to be mod Milanese or chic Parisian, which means either Italian design touches (dark wood and metal) or French ornamental details accenting the overall neutral tones by architect and owner Paola Giambelli. 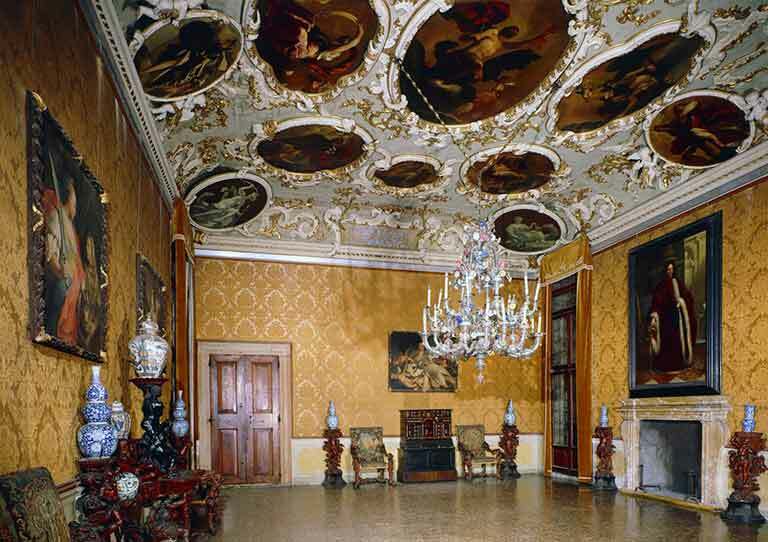 Somehow, Giambelli is able to fight the Milan greys to make the rooms bright, airy, and luminous. If you think the minibar is well stocked, the Clarins lineup in the bathroom will make you never want to leave. I stayed on the fourth floor with a view downtown and a balcony facing the garden. This was perfect. I'm not a fan of the inner courtyard views, though anything above floor six is great. The third floor spa is poised to wow. Ground level lounge bar Caffé Parigi feels like Daddy Warbucks' study, while the restaurant is a neoclassical homage to a catwalk. The garden is where you want to head to for afternoon/evening cocktails in warmer months. WiFi connection is a bit tricky but easy to get after a few tries. 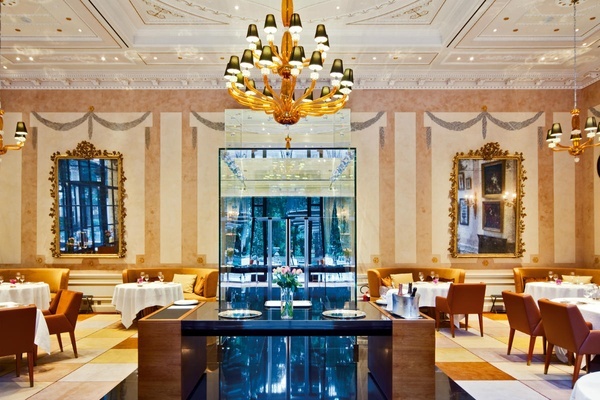 Palazzo Parigi Hotel's Milanese-inspired restaurant. Old-school cocktail bar with excellent vintage drinks. 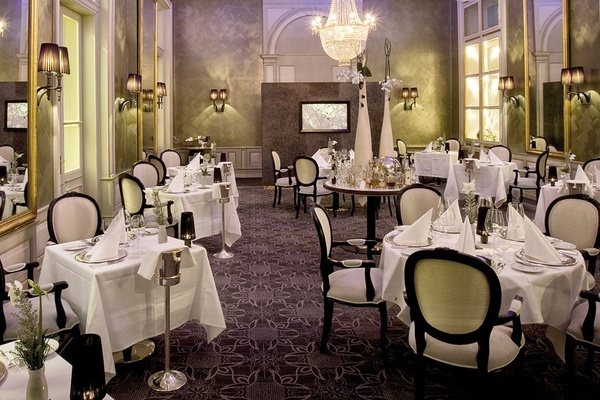 Palazzo Parigi's restauranti is all about traditional Milanese dishes. A weekend of fabulousness. 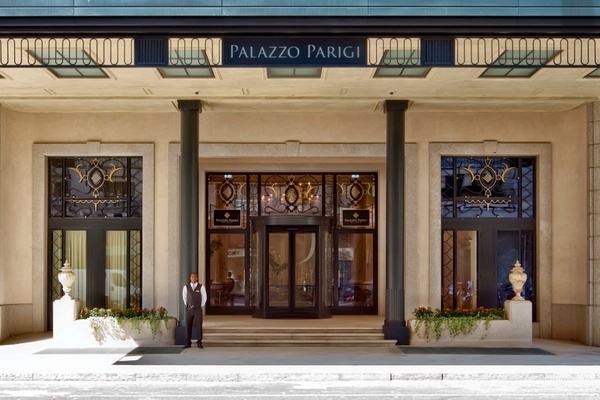 Palazzo Parigi is like lathering up in luxe. Anyone looking for a cheap escape. Very Milanese. In other words, quiet and stylish. 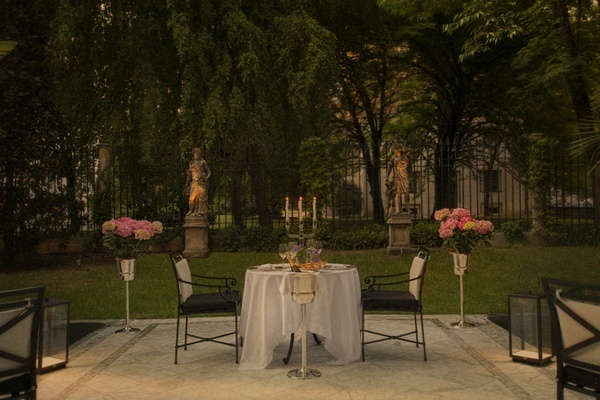 The hotel is just around the corner from Giardini Pubblici, one of Milan's large public parks where you can hang out, picnic, work out. Fishbar de Milan Via Montebello, 7; +39-02-6208-7748Clever little fish joint whose sister restaurant MeatBar is right around the corner. Open Baladin Via Solferino, 56; +39-02-659-7758 Artisanal beer and burgers, the sister to the Roman eatery of the same name. La Briciola Via Solferino, 25; +39-02-655-1012 Old-school Milanese. Pisacco Via Solferino, 48; +39-02-9176-5472 Fancy pants bistro. Bar Brera Via Brera, 23; +39-02-877091 Historic bar, best for people watching. You are walking distance to the best shopping and window shopping streets — Via Montenapoleone, Via Pontaccio, Corso Como, Via Manzoni — and just around the corner from Matia's (piazza Carlo Mirabello, 4; +39-02-6269-4535), an excellent multi-brand designer outlet. I am going to make this very brief. If you are in Rome, or planning to be here before March 22, go to Palazzo Braschi for I Vestiti dei Sogni RIGHT NOW . 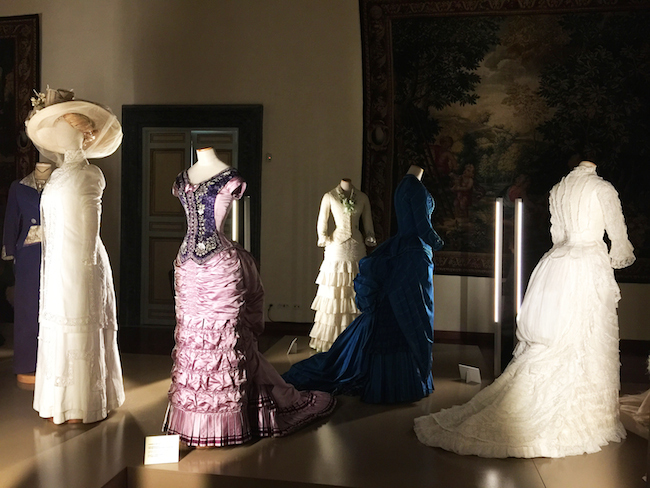 If you like fashion, film and Audrey Hepburn, you need to see this exhibit celebrating Italian costume designers incuding Piero Tosi, Gabriella Pescucci, Milena Canonero (she just want another Academy Award!) and Danilo Donati. From avant garde ancient Rome to Audrey Hepburn, the costumes are beautiful and showcase the very best of Italian design and creativity. 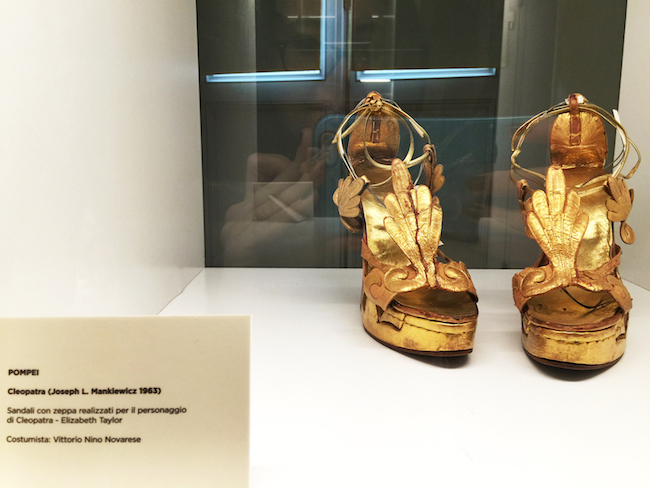 There are a few bonuses-- Elizabeth Taylor's gold shoes from Cleopatra and my personal favorite, the dresses from Age of Innocence. I'm sharing my highlights, including a shot of my mom as an extra in the film Age of Innocence. (My mom wore Gabriella Pescucci's hand made dresses that were originally intended for Winona Ryder. I guess Winona didn't like them? ).